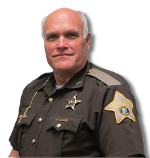 Positions in the Jay County Sheriff's Office offer challenging career opportunities. Whether you are interested in becoming a Deputy or becoming a Dispatcher or Jail Officer, we are excited about your interest in the Jay County Sheriff's Office. ​The Sheriff's Office is always accepting applications for Communications and Corrections Officers. You may pick up an application at any time 24 hours a day at the Security Center located at 224 W. Water St. Portland, IN. You may also print out the application from the link provided. Fill out the application completely and return it. Someone from the Division from which you are applying will contact you if a position becomes available. Open positions are also posted in the Commercial Review and on our Facebook page Jay County Sheriff's Office. Local, State and National criminal history checks are completed on all applicants. Candidates are selected after a review of their application. Interviews will then be conducted with potential candidates. Employment is not guaranteed at any time throughout the hiring process. Persons selected for employment must be available to train or work any shift.